Riot Games, Inc. is an American video game developer and esports tournament organizer based in West Los Angeles, California. The company was founded in August 2006 by University of Southern California roommates Brandon Beck and Marc Merrill, as they sought to create a company that continuously improves on an already released game, instead of commencing development on a new one. Riot Games was majority-acquired by Tencent in February 2011 and fully acquired in December 2015. As of May 2018[update], Riot Games operates 24 offices around the world, in which it employs 2,500 staff members. August 31, 2006; 12 years ago (2006-08-31) in Los Angeles, California, U.S.
Riot Games is best known for League of Legends, a multiplayer online battle arena game and the company's flagship product. The game was first released in October 2009, and subsequently became the game with highest active player count by 2013. Since 2011, 2013 and 2015, respectively, Riot Games also operates the League of Legends World Championship, Championship Series and Mid-Season Invitational esports tournaments for their game. The original Riot Games logo used from 2006 through 2019. Riot Games' founders, Brandon "Ryze" Beck and Marc "Tryndamere" Merrill, became friends while business students and roommates at the University of Southern California, where they bonded over video games. Beck and Merrill were frustrated because they felt game developers were not listening to fans. Developers, they believed, moved from game to game too quickly, leaving their passionate communities behind. During their time playing video games together, Beck and Merrill created an idea for a company that continually introduced new features to its games. Rather than follow the video game industry formula of releasing game after game, Beck and Merrill sought to create a company that was player-focused and made games that constantly evolved. They drew inspiration from Asian video game designers who were offering games for free, yet charging for additional perks. The founders thought it would be unfair to create a pay-to-win game, so they decided Riot Games would not sell upgrades that other players receive through skill. Rather, the additional perks would include cosmetic improvements such as new clothes that changed characters' appearance, so players can personalize their experience. Beck and Merrill sought funding from family and angel investors, originally raising US$1.5 million to launch Riot Games in Los Angeles, California. The company was incorporated under the laws of California on August 31, 2006. The first person Riot Games recruited was Steve "Guinsoo" Feak, a developer on the multiplayer online battle arena game DotA Allstars. As they refined League of Legends' initial creation, they sold investors on the plan for a video game company rooted in e-commerce, which led to several rounds of funding that totaled to $8 million, including investments by the Benchmark and FirstMark Capital venture capital firms, as well as Chinese holding company Tencent, who would later become League of Legends' distributor in China. Riot Games released League of Legends as a free-to-play game on October 27, 2009. The company continued to develop League of Legends by allowing players to offer feedback. Their game designers and executives participated in online forums to make adjustments based on player feedback. On May 10, 2010, Riot Games announced that they would take over distribution and operation of their game in Europe; to do so, Riot Games relocated their European headquarters in Brighton to new offices in Dublin. In February 2011, Tencent paid $400 million for a 93 percent stake in Riot Games. Tencent bought the remaining 7 percent in December 16, 2015; the price was not disclosed. In 2012, in response to toxicity and harassment in video game culture, Riot Games launched a "player behavior team" of psychologists to combat harassment on its platform. Riot Games' tactics to address issues on League of Legends, including an opt-in chat function between opposing players, informing banned players of the reasoning behind the ban, and creating a tribunal of players to weigh in on bans, resulted in a 30 percent drop in reported harassment behavior. By 2013, League of Legends has been the most-played multiplayer PC game in the world. From 2014 to 2016, the number of active League of Legends players grew from 67 million to more than 100 million. 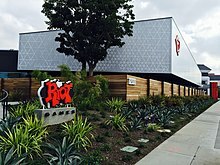 Riot Games relocated to a new building on a 20-acre campus in West Los Angeles in 2015. In March 2016, Riot Games acquired Radiant Entertainment, another developer who was working on Rising Thunder and Stonehearth at the time. Rising Thunder was effectively canceled following the acquisition, with the game's team allocated to a new project. On October 13, 2017, Beck and Merrill announced that they were returning their focus to developing games, aiming to create new experiences for video game and esports players. Beck and Merrill handed over the day-to-day operations and overall management of the League of Legends team to three longtime employees: Dylan Jadeja, Scott Gelb and Nicolo Laurent, who previously served as chief financial officer (CFO), chief technology officer (CTO) and president, respectively. Subsequently, Gelb and Laurent assumed roles as chief operating officer (COO) and chief executive officer (CEO), respectively, while Beck and Merrill became the Riot Games' chairmen. As of May 2018[update], Riot Games employs 2,500 people, operating 24 offices around the globe. Riot Games operates esports leagues worldwide. This includes the League of Legends Championship Series, comprising leagues in North America and Europe. In total, there are more than 100 teams in Riot Games' 14 regional leagues around the world. Teams compete over the course of a season separated into two seasonal splits. Teams earn championship points to qualify for two major international competitions: the Mid-Season Invitational and the League of Legends World Championship. Riot Games' World Championship is the annual professional tournament at the conclusion of each season. The company sells corporate sponsorships, merchandise, and streaming rights for its esports league. In 2015, investors bought stakes in teams and began building their own squads. Among the team owners in Riot Games' leagues are the owners of the Washington Wizards, Cleveland Cavaliers, Houston Rockets, Golden State Warriors, Philadelphia 76ers, Los Angeles Dodgers, AOL co-founder Steve Case, and life coach Tony Robbins. Inc. cited the growth of the leagues and high-profile ownership as part of its reasoning for making Riot Games its 2016 Company of the Year. Following debates over whether pro players and coaches should have a greater share of Riot Games' esports revenue and concerns raised about the company making in-game changes prior to matches, the company issued an open letter in 2016 promising higher revenue shares and more collaboration with professional teams. In 2017, Riot Games held the League of Legends World Championship in China, with the finals taking place in Beijing. The same year, the company announced it would franchise its ten-team North American League of Legends Championship Series, which cost at least $10 million to enter. In 2018, Riot Games held the League of Legends World Championship across South Korea, with the finals taking place in Incheon. The same year, Riot Games also announced a franchise model for the European League of Legends Championship Series would be coming in 2019, similar to its North American counterpart the previous year. This new franchised model would rebrand into the League of Legends European Championship, and would introduce 10 permanent partners into the league for the 2019 season and beyond. Over the first half of 2018, Kotaku spoke to about 28 former and current employees at Riot Games, several which claimed that female employees at Riot were being discriminated against, such as ideas from female employees being overlooked while the same ideas from male employees being readily accepted, and some female employees being groomed for more senior positions only to be passed up by a new male hire. These employees described the environment within Riot as a "bro culture", more like a fraternity than a workplace. Kotaku published these interviews in an August 2018 report, and speculated that this came from Riot's history of generally catering to "core" gamers both in products and in hiring practices, which would cause the company to favor male employees over females. Kotaku did speak to some Riot employees who stated these accusations were not true or were already being addressed; for example, Oksana Kubushyna, the head of platform, stated that efforts to improve the hiring process to be more diverse and inclusive toward women had started about nine months prior to Kotaku's article. Riot Games' corporate communications lead Joe Hixson responded to the Kotaku article, stating "This article shines a light on areas where we haven't lived up to our own values, which will not stand at Riot. We've taken action against many of the specific instances in the article, and we're committed to digging in, addressing every issue, and fixing the underlying causes. All Rioters must be accountable for creating an environment where everyone has an equal opportunity to be heard, grow their role, advance in the organization, and fulfill their potential." In the week following Kotaku's article, several more current and former developers came forward to speak on their own experiences at Riot, which included claims of sexual harassment and misgendering. In a statement to Gamasutra, Hixson stated that the company is taking action based on the story and its response. Hixson stated that "our primary goal is to be listening to the personal experiences and stories of everyone that has ever been part of the Riot team" and "in instances where former Rioters are raising issues that we need to take action against, we are attempting to get in contact with them to learn more so we can take action". Hixson further stated that in regards to some claims of misbehavior to higher-level executives at Riot, "we’re investigating and will uphold our zero tolerance stance, no matter the seniority of those involved." By the end of the August 2018, Riot stated they were implementing seven "first steps" to change the company's internal culture in light of the issued raised, including a "Culture and Diversity & Inclusion Initiative" priority. To help implement these, Riot hired Frances X. Frei as a senior adviser for diversity, leadership, and strategy. Despite these announcements, Riot Games's stance was put into the spotlight at the 2018 PAX West event at the start of September 2018. Due to the Kotaku article, Riot offered a session for attendees interested in getting into the video game industry some roundtable talks and one-on-one sessions to review resumes, and only admitted women and non-binary people for a majority of this period; otherwise, the sessions were made available to view online by anyone after the event. Members of Riot's game communities expressed outrage at the exclusion of men, while Riot employees defended the decision as such gender-exclusive support was necessary to correct the male-dominated nature of video game development. Some of the feedback towards Riot included harassment and threats, and, in combination with events from the shooting at a video game tournament in Jacksonville, Florida the prior month, Riot plans to increase security at its upcoming events. Two employees of Riot attempted to address the feedback from the PAX event, leading one to be fired and the other to leave the company; Riot stated that these departures were separate from their Diversity Initiative. About three months after Kotaku's story, one current and one former Riot employees filed a lawsuit against the company, asserting the company engaged in gender discrimination in relation to their pay and position, and that the company had created a hostile workplace that including "the ongoing sexual harassment, misconduct, and bias which predominate the sexually-hostile working environment of Riot Games". The lawsuit seeks to qualify it as a class-action suit, and for damages to be based on unpaid wages, damages, and other factors to be determined at trial. In December 2018, Riot's CEO Nicolo Laurent sent an email to all employees stating that following the company's own internal investigation, their COO, Scott Gelb, was suspended for two months without pay for workplace misconduct and would take training classes before his return. Riot stated to Kotaku that there still other cases they were investigating but did not involve those as senior as Gelb, and thus would not discuss these cases publicly. By January 2019, Riot published its updated company values on its website, the first time since 2012, to reflect the apparent "bro culture" that the company had been seen as since the Kotaku report, and by February 2019, had hired Angela Roseboro as the company's chief diversity officer to further help improve their culture. ^ a b c d e f g h i j Kollar, Phil (September 13, 2016). "The past, present and future of League of Legends studio Riot Games". Polygon. Retrieved June 14, 2018. ^ a b c d e f g h i j k l m n o p q r s t u v Blakely, Lindsay; Helm, Burt (December 2016). "Why Riot Games Is Inc.'s 2016 Company of the Year". Inc. Retrieved June 14, 2018. ^ Prell, Sam (May 21, 2014). "Unity, Riot Games co-founders join AIAS board of directors". Engadget. Retrieved June 14, 2018. ^ "Business Search – Results". California Secretary of State. Retrieved June 14, 2018. ^ Alexander, Leigh (July 10, 2008). "Riot Games Get a $7M Launch". Kotaku. Retrieved June 14, 2018. ^ Brice, Kath (September 10, 2009). "Riot Games secures $8 million investment". GamesIndustry.biz. Retrieved June 15, 2018. ^ Jarvis, Matthew (March 8, 2016). "Riot Games to close Brighton office, relocate staff to Dublin HQ". MCV. Retrieved June 14, 2018. ^ Russell, Jon (December 17, 2015). "Tencent Takes Full Control Of 'League Of Legends' Creator Riot Games". TechCrunch. Retrieved June 14, 2018. ^ Frank, Allegra (December 16, 2015). "Riot Games now owned entirely by Tencent". Polygon. Retrieved June 14, 2018. ^ a b Hess, Amanda (May 16, 2014). "How One Video Game Company Is Leading the Charge Against Online Harassment". Slate. Retrieved June 14, 2018. ^ Scimeca, Dennis (May 16, 2013). "Using science to reform toxic player behavior in League of Legends". Ars Technica. Retrieved June 14, 2018. ^ GameCentral (August 4, 2017). "League Of Legends is still the biggest video game in the world". Metro. Retrieved June 14, 2018. ^ ""League Of Legends," The Most-Played PC Game In The World, Runs On The Same Open Hardware As Facebook". TechCrunch. January 25, 2013. Retrieved June 14, 2018. ^ Tassi, Paul (January 27, 2014). "Riot's 'League of Legends' Reveals Astonishing 27 Million Daily Players, 67 Million Monthly". Forbes. Retrieved June 14, 2018. ^ Pereira, Chris (November 8, 2013). "Riot Games Moving to Huge New Campus in 2015". IGN. Retrieved June 14, 2018. ^ McWhertor, Michael (March 8, 2016). "Riot Games acquires Rising Thunder and Stonehearth studio Radiant Entertainment". Polygon. Retrieved June 14, 2018. ^ Wawro, Alex (March 8, 2016). "Acquired by Riot, Radiant shuts down Rising Thunder". Gamasutra. Retrieved July 7, 2018. ^ a b Crecente, Brian (October 13, 2017). "League of Legends Developers Are Working on a New Game". Rolling Stone. Retrieved June 14, 2018. ^ "Company Overview of Riot Games, Inc". Bloomberg L.P. Retrieved June 14, 2018. ^ Schreier, Jason (May 24, 2018). "The World's Biggest Game Company Just Keeps Getting Bigger". Kotaku. Retrieved June 14, 2018. ^ "Offices". Riot Games. Retrieved June 14, 2018. ^ a b Spangler, Todd (November 20, 2017). "Ten Franchise Teams for 'League of Legends' North American eSports League Unveiled". Variety. Retrieved June 14, 2018. ^ a b Wolf, Jacob (March 27, 2018). "European League Championship Series changes to include salary increase, franchising and rev share". ESPN. Retrieved June 14, 2018. ^ Hester, Blake (December 21, 2017). "More Than 360 Million People Watched This Year's 'League of Legends' Mid-Season Invitational". Rolling Stone. Retrieved June 18, 2018. ^ a b Spangler, Todd (May 25, 2018). "ESPN+ to Live-Stream 'League of Legends' Esports Events Under New, Non-Exclusive Pact". Variety. Retrieved June 18, 2018. ^ Johnson, Michael (May 3, 2016). "League Of Legends Mid-Season Invitational – What You Need To Know!". Rock, Paper, Shotgun. Retrieved June 18, 2018. ^ LeJacq, Yannick (September 1, 2015). "Against All Odds, Cloud9 Makes It Into The League Of Legends World Championship". Kotaku. Retrieved June 18, 2018. ^ Marshall, Cassandra (November 5, 2017). "How a dynasty was toppled at the League of Legends World Championship". PC Gamer. Retrieved June 14, 2018. ^ a b Huddleston, Tom Jr. (October 20, 2017). "Riot Games Esports Co-Head Talks 'League of Legends' 2017 World Championship". Fortune. Retrieved June 14, 2018. ^ Di Fiore, Alessandro (June 3, 2014). "Disrupting the Gaming Industry with the Same Old Playbook". Harvard Business Review. Retrieved June 14, 2018. ^ Wolf, Jacob (October 13, 2017). "Sources: Warriors co-owner lands League of Legends franchise spot". ESPN. Retrieved June 14, 2018. ^ Erzberger, Tyler (November 20, 2017). "Warriors, Cavs and Rockets officially enter League of Legends". ESPN. Retrieved June 14, 2018. ^ Novy-Williams, Eben; Brustein, Joshua (June 1, 2017). "To Buy Into This Video Gaming League, It's at Least $10 Million". Bloomberg Businessweek. Retrieved June 14, 2018. ^ "2018 Global Esports Event Announcement". na.leagueoflegends.com. Retrieved January 18, 2019. ^ Goslin, Austen (August 1, 2018). "2018 World Championship dates and cities announced". The Rift Herald. Retrieved January 18, 2019. ^ "The future of the EU LCS". eu.lolesports.com. Retrieved January 18, 2019. ^ a b D'Anastasio, Cecilia (August 7, 2018). "Inside The Culture Of Sexism At Riot Games". Kotaku. Retrieved August 8, 2018. ^ Wolf, Jacob (August 8, 2018). "Riot Games responds to report alleging sexual harassment". ESPN. Retrieved August 8, 2018. ^ a b Francis, Bryant (August 13, 2018). "Devs corroborate claims of sexist culture as Riot looks for way forward". Gamasutra. Retrieved August 13, 2018. ^ Chalk, Andy (August 29, 2018). "Riot Games commits to 'seven steps' to drive cultural change around sexism and harassment". PC Gamer. Retrieved August 29, 2018. ^ Takahashi, Dean (September 11, 2018). "Riot Games hires former Uber exec Frances Frei as senior diversity and culture adviser". Venture Beat. Retrieved September 11, 2018. ^ Marshall, Cass (September 4, 2018). "A PAX West panel adds to the current Riot Games controversy". Polygon. Retrieved September 4, 2018. ^ Liao, Shannon (September 7, 2018). "Two Riot Games employees depart after defending a women-only PAX West event to League players". The Verge. Retrieved September 7, 2018. ^ D'Anastasio, Cecilia (December 13, 2018). "Top Riot Executive Suspended Without Pay Following Investigation Over Workplace Misconduct". Kotaku. Retrieved December 13, 2018. ^ Taylor, Haydn (January 15, 2019). "Riot Games updates company values following "bro culture" toxicity claims". GamesIndustry.biz. Retrieved January 15, 2019. ^ Laio, Shannon (March 1, 2019). "Riot Games hires a chief diversity officer to address toxic workplace culture". The Verge. Retrieved March 2, 2019. ^ Khouri, Andrew (June 22, 2011). "Seven Southland executives win entrepreneur of the year awards". Los Angeles Times. Retrieved June 14, 2018. ^ Dickey, Megan Rose (July 12, 2013). "The 25 Best Tech Companies To Work For In 2013". Business Insider. Retrieved June 14, 2018. ^ Cowan, Danny (February 11, 2014). "Game Developers Choice Awards honor Anita Sarkeesian, Riot founders". Engadget. Retrieved June 14, 2018. ^ Grubb, Jeff (December 10, 2015). "League of Legends studio is only game developer on Glassdoor's 'Best Places to Work' list". VentureBeat. Retrieved June 14, 2018. ^ Makuch, Eddie (March 3, 2016). "Riot Games, Activision Blizzard Featured on Best Workplace List". GameSpot. Retrieved June 14, 2018. ^ Gilliam, Ryan (June 14, 2017). "League of Legends' Riot Games wins a BAFTA". Rift Herald. Retrieved June 14, 2018. ^ Lee, Julia (May 9, 2018). "Riot Games wins a Sports Emmy for Outstanding Live Graphic Design". Rift Herald. Retrieved June 14, 2018.
ggChronicle (October 13, 2012). Riot Games Office Tour with Chobra. YouTube.